Purpose: Represent the % of calls which meet AFD's internal response time standard. Standard: The first unit arrives onscene within 8 mins (from call receipt to onscene) 90% of the time. Double line streets are created from heads up digitizing using 2012/2013 Orthoimagery and 2012 Lidar where Orthoimagery is not available. This product has been produced by the Communications and Technology Department for the sole purpose of geographic reference. No warranty is made by the City of Austin regarding specific accuracy or completeness.  Paved areas feature class is created to assist in City of Austin planning activities. Paved area features are created from heads up digitizing using 2012/2013 Orthoimagery and 2012 Lidar where Orthoimagery is not available. Full metadata: ftp://ftp.ci.austin.tx.us/GIS-Data/Regional/regional/paved_areas_2013.txt This data has been produced by the City of Austin for the sole purpose of aiding regional planning and is not warranted for any other use. No warranty is made by the City regarding its accuracy or completeness. Remaining pervious features are created from heads up digitizing using 2012/2013 Orthoimagery and 2012 Lidar where Orthoimagery is not available. 2012/2013 Orthoimagery collected by Sanborn Mapping Company for the GeoMap consortium. The source imagery used was 6-inch, natural color with an accuracy statement of horizontal positional displacement within +/-3.33 feet of well-defined ground features; accuracy is based on ground control and DEM data. The accuracy statement does not apply to vertical surface features, such as structures, appearing in the digital orthophotography due to inherent lean. This product has been produced by the Communications and Technology Department for the sole purpose of geographic reference. No warranty is made by the City of Austin regarding specific accuracy or completeness.